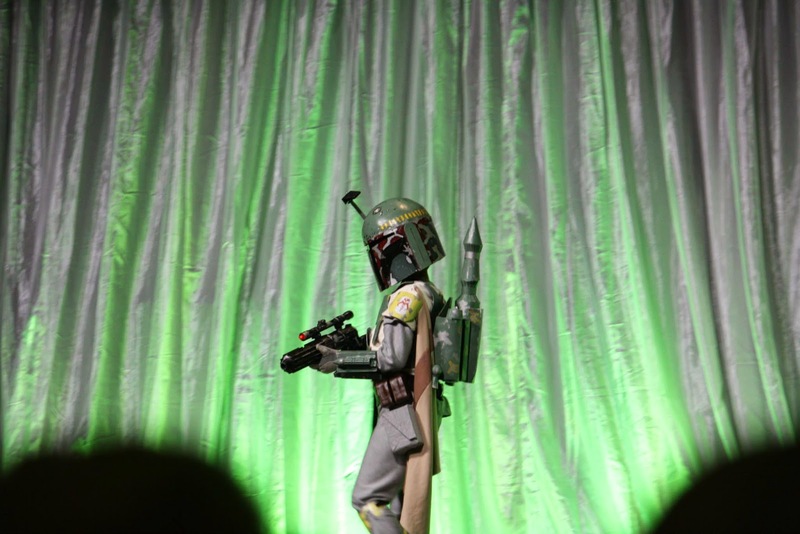 Wondercon Anaheim 2014 - Comics, Cosplay and MiniBobaFett takes the stage. 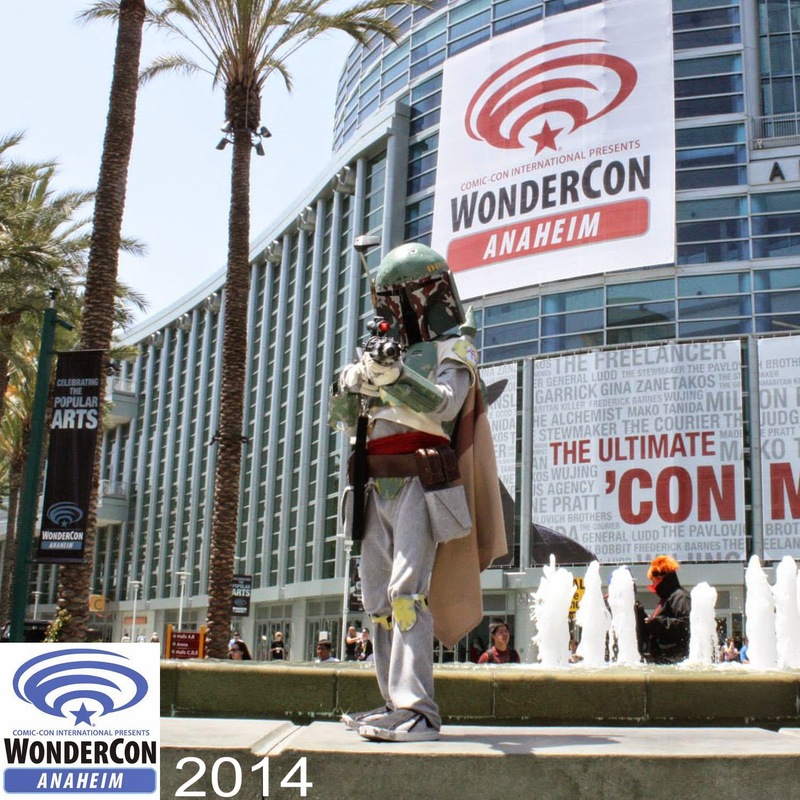 It is April and that means it was another trip to SoCal to Anaheim where Wondercon has been calling home since 2012. 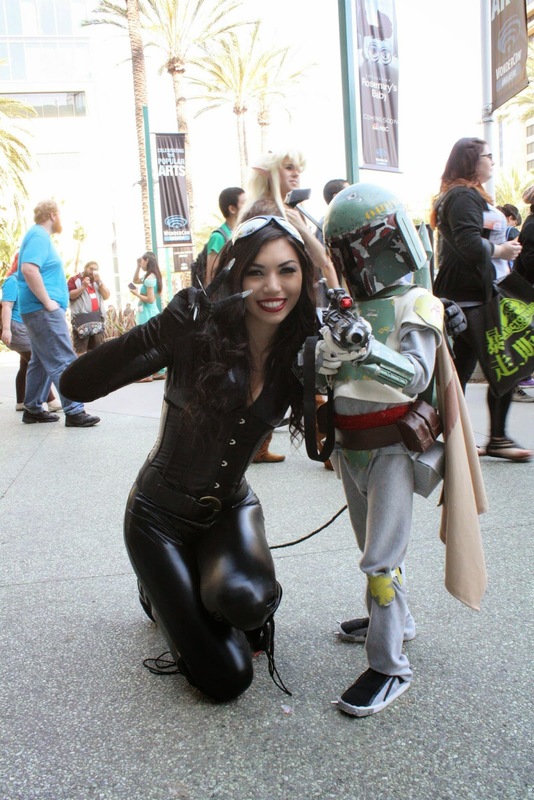 Although we hope to have Wondercon back in San Francisco, the Anaheim atmosphere is always awesome. We arrived early Friday morning and the scene on Katella and Harbor was like a cross-over of everything that has ever been considered cool. It was like these awesome characters from other unearthly worlds colliding on one corner of the street and all walking right into the Anaheim Convention Center. The parking garages nearby were just as decked out with nerdism and geekery. Never have I ever seen so many Police Box, Empire Logo, Superman, Batman, Deadpool, Mythosaur, etc. vinyl stickers on the back windows of cars. It was truly an awesome sight to see. Not to mention seeing Deadpool coming out of the back seat of a Honda Civic or Snow White parking that Prius. 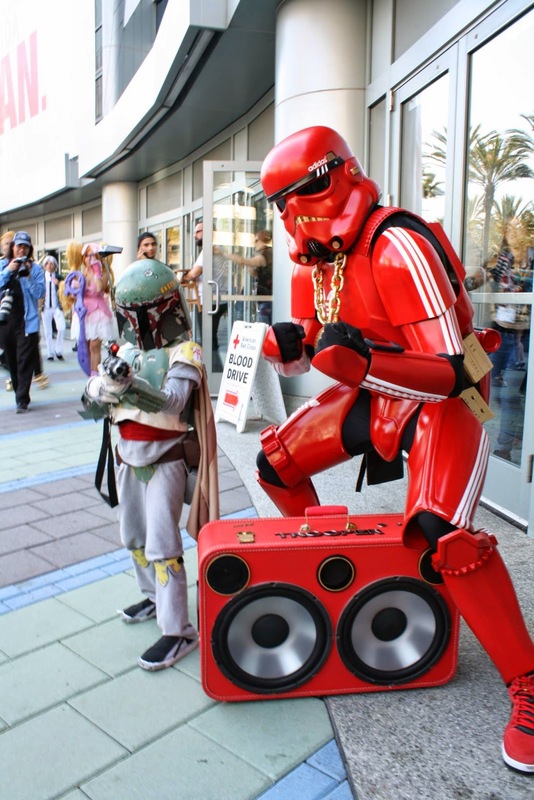 Only at a convention will you ever see this kind of coolness. Right when we got through the doors of the convention, we immediately exchanged our tickets for badges. This year's lanyard featured the NBC hit show, The Blacklist. The program features an awesome art of Wonder-Woman by DC artist Cliff Chiang. There were plenty of panels and programs to choose from and were headlined by 20th Century Fox, Revolution, Salem, Once Upon a Time and many others. If the imgur embedded album is not working, please go directly at http://imgur.com/a/cdWK6 We stopped by the Press information booth and got our badges exchanged for Press access. The people running this show are very courteous and they know exactly what they are doing. It was quick and we were off to the convention show floor. All the top publishers had prominent presence on the floor such as DC Entertainment, Dark Horse, Aspen, IDW, BOOM! Studios, Lionforge, Nintendo, etc. There were many artist booths to pick up some one-of-a-kind artwork and commissioned sketches. 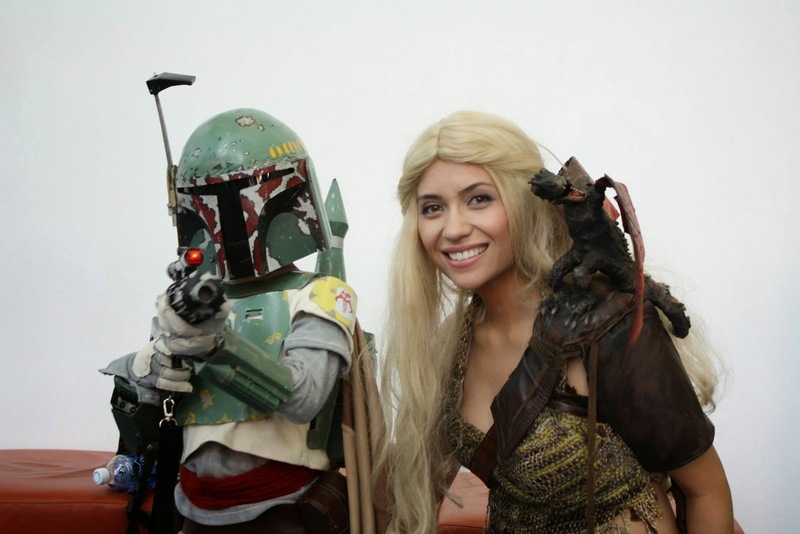 The fan tables were also the places to stop by and take pictures with your favorite heroes or villains. 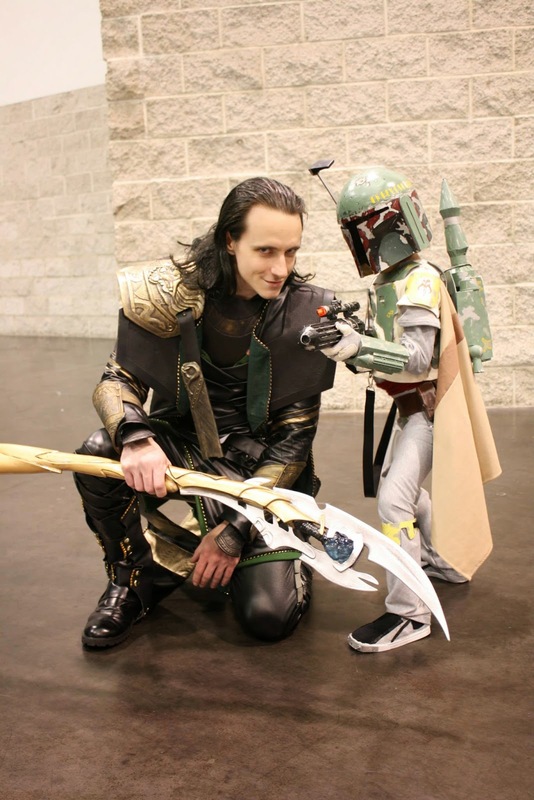 I would like to say HELLO to some awesome people we met at Wondercon. Besides the fun and entertainment that conventions offer to people, I have to say that the people we meet is one of my favorite aspect for the whole weekend. 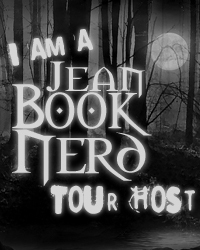 Please go check out and support their projects because they are just totally rad! Sam Skyler Website: www.samskylerart.com Instagram: @samskylerart Awesome Daenerys cosplay and be sure to check out her amazing artwork. She has amazing Star Wars artwork and unique heartshaped themed characters. LuisProjects Instagram @luisprojects This guy has a great talent in costume making. 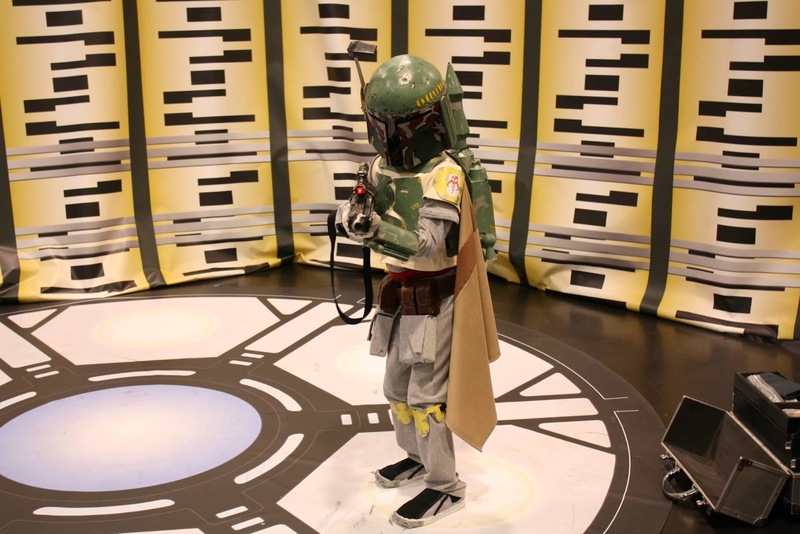 His "Habu Fett" Mando Kit totally blew our minds! 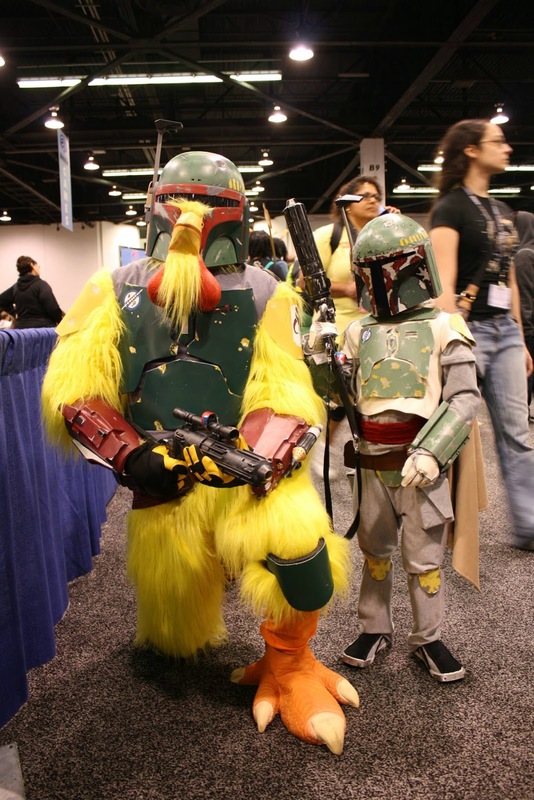 The Real Chicken Fett Instagram @TheRealChickenFett Really awesome dude and @MiniBobaFett loves the costume! 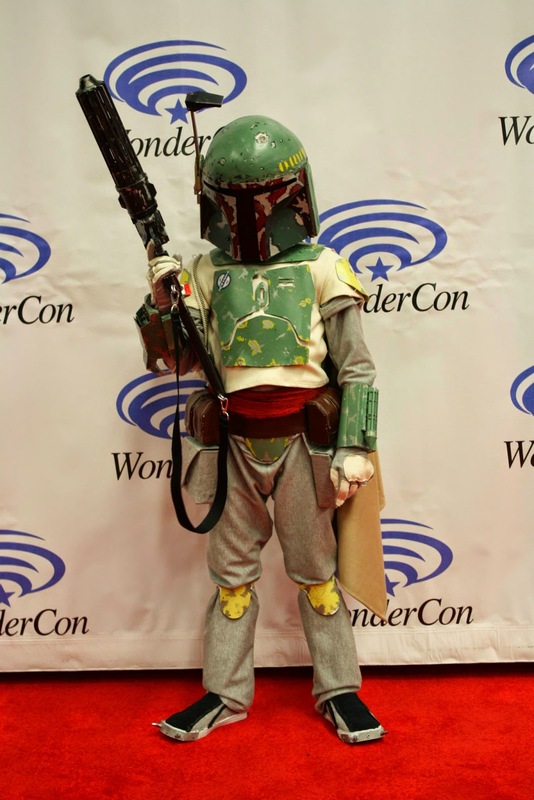 This year, we entered our little Boba Fett into the Wondercon 2014 Masquerade. The Masquerade took place at 8pm on Saturday. There were 35 entries to the Masquerade and all were proudly displaying their highly imaginative costumes and props. 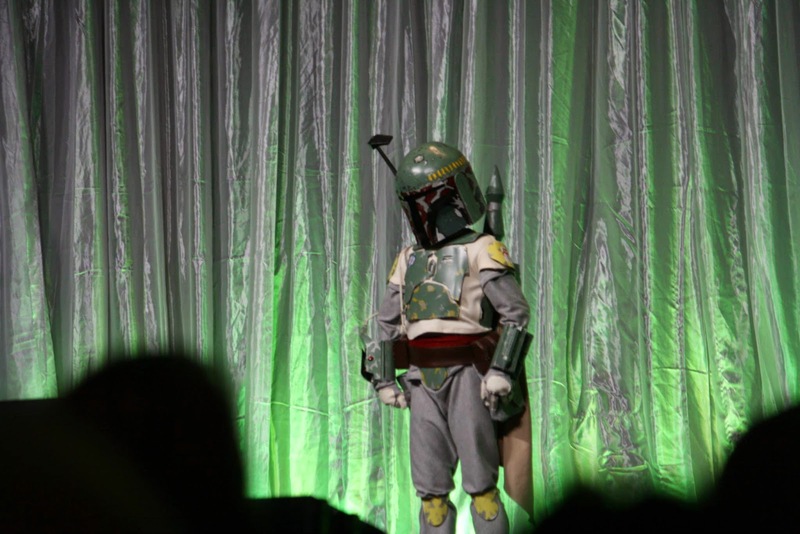 The familiar MC Phil Foglio was replaced by voice actress Ashley Eckstein (voice of Ahsoka Tano on Star Wars The Clone Wars). Each entry put on an incredible show that left the audience entertained. 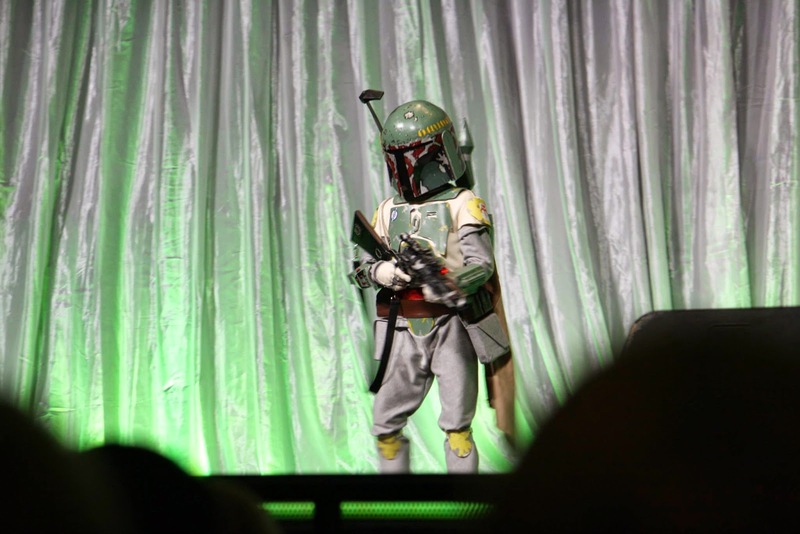 #MiniBobaFett was entry #2 and took home the Best Attitude Award Presented by Lucasfilm Ltd. in the Star Wars Category. Congrats to all the winners and the participants. Without your creative imagination, there would be no masquerade show. 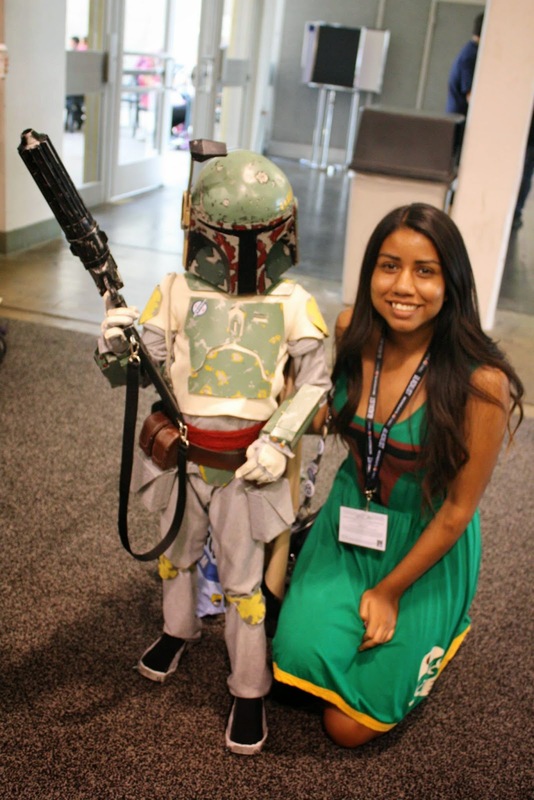 Entire Wondercon 2014 Masquerade uploaded by Galen Gonzalez via YouTube. 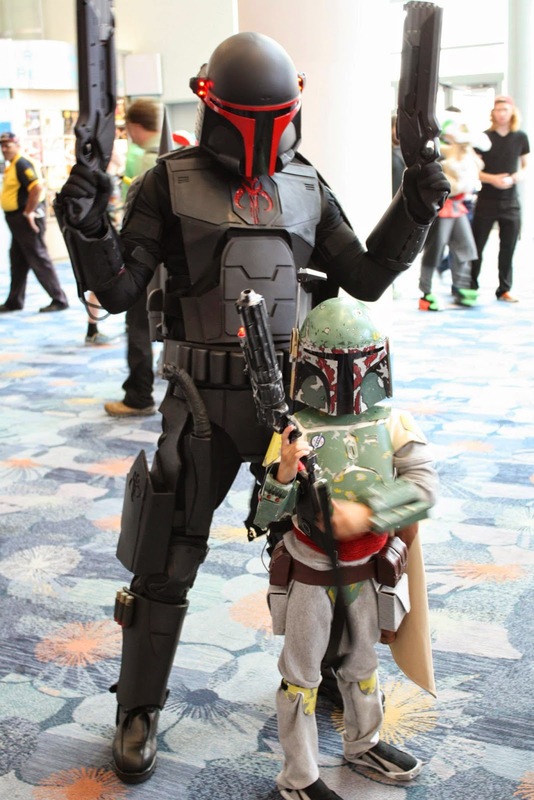 Wondercon is one of our favorite conventions and we are sure to attend next year. The Anaheim Convention Center is an incredible place to hold three days of pure fun, entertainment, and magic. 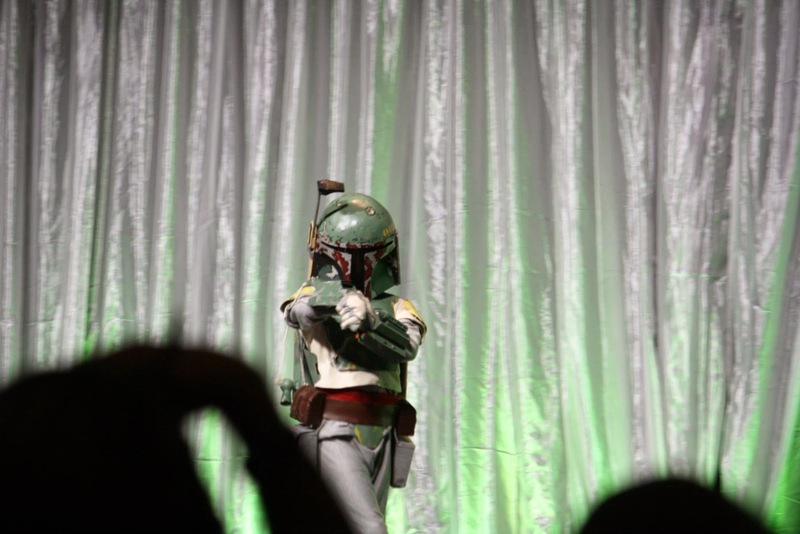 Thank you Wondercon Anaheim for another unforgettable weekend!